February 25, 2015 | Meagan Miller & filed under News. On Wednesday, February 25 to Thursday, February 26, 2015, tune in for a marathon broadcast about poverty, life on the streets, and the crisis of homelessness across Canada. 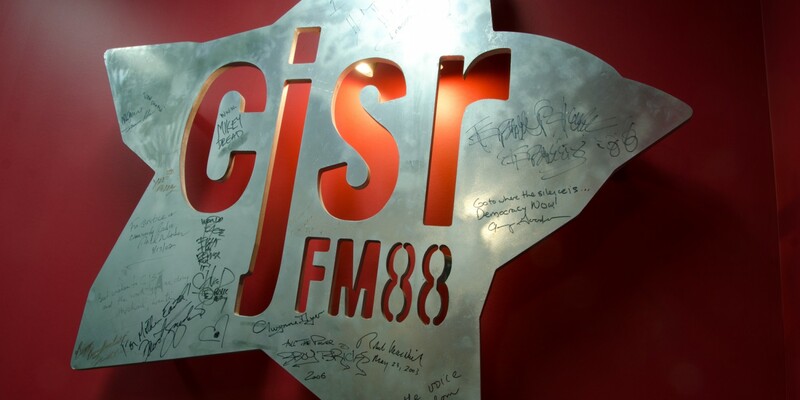 CJSR is proud to participate in the 2015 Homelessness Marathon. The yearly overnight broadcast is shared on campus and community stations from coast to coast, creating linkages and raising awareness of homelessness in Canadian communities. The 2015 marathon – hosted by Kingston’s CFRC 101.9 FM – will feature local and national programming, including contributions from 14 stations representing six provinces. Tune in from 2 PM on Wednesday, February 25 to 4 AM on Thursday, February 26, and find out more from CFRC. Don’t miss CJSR’s contribution at 1 AM, presented by CJSR volunteer producers Daniel Johnson, Rylan Kafara, and Anna Wilson.